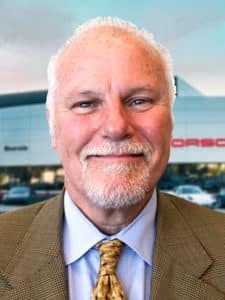 Mark Marchant is the captain that leads the boat for this Porsche dealership, and everyone follows him with great confidence. Mark comes to Porsche with almost more automotive experience than anyone else. Mark grew up in Europe, where he competed as a professional Formula driver. Many years later we are lucky to have him as the General Manger of this fine Porsche dealership. When Mark is not impressing everyone at the dealership with his racing stories, you can find him enjoying as much time with his family as possible. Mark loves to just enjoy a relaxing day by the pool with his wife and kids, they truly operate as a tight knit family. If you are ever in the Riverside area and want to work with one of the best in the business (or just want to hear some awesome racing stories) then pop your head in and say hi to Mark Marchant. 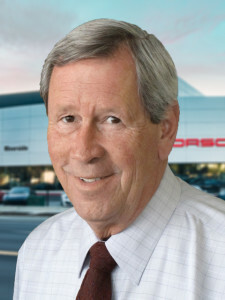 Ed Finley has many years of automotive experience, and you can truly be in no better hands when shopping for a Porsche. Ed really has two strong passions in his life, cars and his family. When Ed is not at the dealership living the dream, you can often find him out with his family at the race track. Ed is truly a Porsche enthusiast, and loves to race them on the weekend whenever he gets the chance. He also does a great job at always including his family in his activities, and loves to go out with his family at any given opportunity. To do business with one of the happiest people in the automotive industry, look no further than Ed Finley. 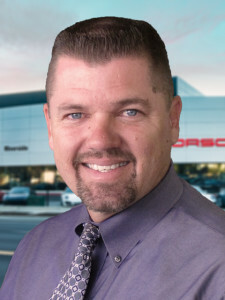 Jeffery Hudson is an experienced automotive expert who has been a great asset to the team at Porsche Riverside. Jeffery Hudson lives a beautiful life with his wife, 2 daughters and his son. They love to go out together and enjoy the beautiful California weather together. When Jeffery wants to relax you can usually find him watching football or basketball. He is a big sports enthusiast, and is sure to talk up a storm if you bring up the Green Bay Packers. 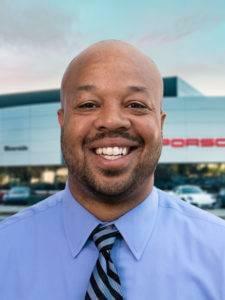 So next time you are at Porsche Riverside and want to talk to one of the most helpful individuals you can find, come say hi to Jeffery Hudson. 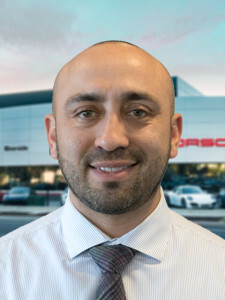 John is a Brand Ambassador here at Porsche Riverside and one of the guys that can assist you with any questions you may have about the purchasing process or a specific question about the Porsche product. John works hard as do all of our Ambassadors but when he can escape work he enjoys spending most of his time with his wife of twenty-two years and their two teenagers. 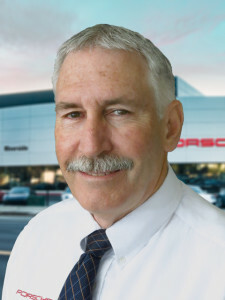 John is a Porsche certified Brand Ambassador, he served in Desert Storm and Desert Shield in the U.S.A.F. and enjoys cycling, martial arts and swimming. He isn’t one to pass up a Dodgers game and says he has to many favorite movies to list. He does list a favorite Porsche though, the 993 Turbo S. Call John when you are ready to shop for a Porsche and let his show you what Porsche Riverside has to offer. 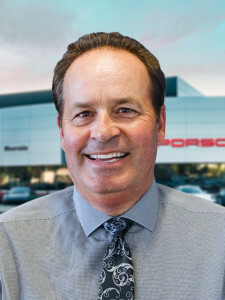 Bob is one of our Brand Ambassadors here at Porsche Riverside and a good one at that! That is why he stays so busy here at work but when he slips out the door for some down time he enjoys playing Ocean Sports, golfing, shooting, music and his grand kids. In fact, Bob has a home recording studio and says he spent the first 25 years of his life playing music and fooling with cars. Given a choice of vacation spots to watch a Arizona Sun Devils game, Bob would choose to return to Hawaii where he lived for twelve years but says any tropical getaway will suffice. Listed as his favorite Porsche’s are the 1973 Carrera RS Lightweight and the race car 908.03. 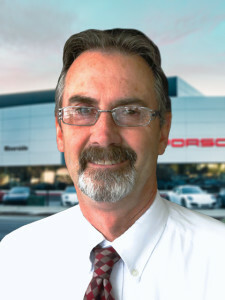 Be sure to say hello to Bob when you stop in to Porsche Riverside. 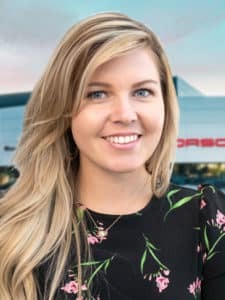 Taylor Ferguson is ready to make your Porsche experience a memorable one. When he’s not selling beautiful Porsches, Taylor loves spending time with his family and going to the gym to play basketball. He’s a huge sports fan and follows the Los Angeles Lakers and Dodgers, as well as the San Diego Chargers. Taylor is a Porsche enthusiast at heart and would choose the 911 GT3 as his favorite model. Taylor is outgoing, kind-hearted, empathetic, and enthusiastic- especially when it comes to Porsche! Give Taylor a call or stop by and say hello. Michel Rey is a man with a long and interesting past, and through a string of long events he landed in America from Cuba in 1995. Michel’s first experience living in the U.S started in LA where he got his first job in a local market stocking merchandise. He then quickly moved to Cathedral City where he worked as a bartender for the next 7 years, after which Michel got involved in the automotive industry. 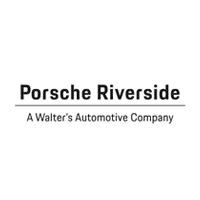 Michel has worked with the Walter’s Automotive Group since 2009, and is a true Porsche enthusiast at heart. He truly appreciated fine German engineering, and the amazing automobiles that are created as a result. To do business with a man who truly understand the Porsche brand, and puts you the customer first, then look no further than Michel Rey. 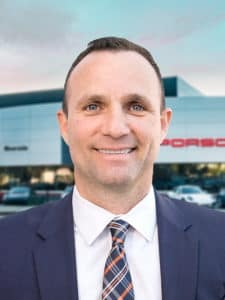 Christian brings over 10 years of automotive experience with him to our Porsche dealership and his sales philosophy is to create relationships with his clients, not to just treat them as customers. Christian is very knowledgeable and takes his craft seriously. Outside of work his favorite activities include golf, long drives and coaching his son’s baseball and soccer teams. His favorite Porsche has to be the 911 Carrera. Can’t really go wrong there! 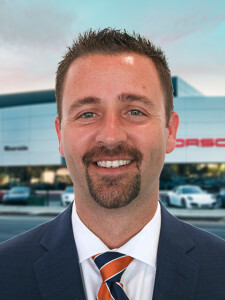 Stop in and say hello to Christian and let him show you the advantages of shopping and purchasing your next Porsche. Dan has well over 20 years of automotive experience that is an asset and a gift for anyone who has the pleasure of working with him. In his many years Dan has encountered almost every situation possible, and that experience makes his more valuable than we could have ever imagined. On his weekends you can find Dan spending time with his family and dog. He is very active in his son’s football involvement, whether it be practicing with him or cheering him on at games. Dan’s favorite Porsche is the Panamera and is a huge fan of the movie Pulp Fiction. To do business with one of the most experienced experts in the automotive field, look no further an Dan Ebach. When it comes to hard work, dedication and enthusiasm no one comes to mind quite like Sherman Sims. 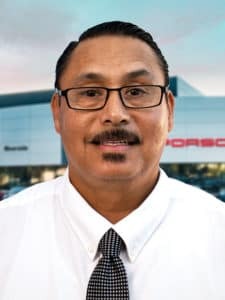 Sherman is a veteran Porsche enthusiast who puts in the hard work necessary for success, and the professional demeanor to never stop moving forward. When Sherman is not at the dealership you can frequently find him spending as much time as possible with his amazing daughters. As a huge Anaheim Angels fan, you will often find him laying back with his daughters to an exciting baseball game. 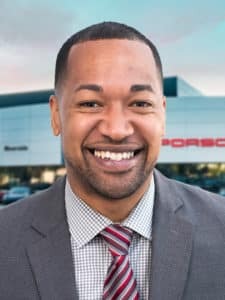 So if you are looking for a true professional family man to help find your next Porsche, Sherman is your go to man. 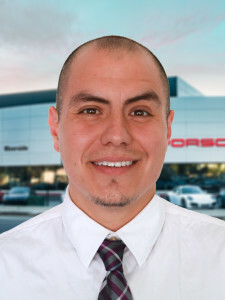 Jorge started with the Walter’s Automotive Group in 2016 as a car wash porter, but his natural professionalism and work ethic he has quickly landed himself as a Porsche Sales Ambassador where he uses his expertise of the Porsche brand to help customers everyday. If Jorge could have any Porsche in his garage, he would want the 2011 Porsche 911 GT2RS or the 904 GTS. Jorge has a huge knowledge of the Porsche product line over the years, and is a true enthusiast of the brand. 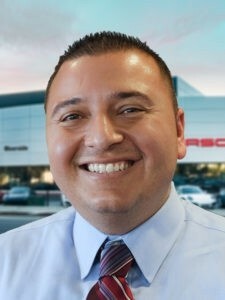 Away from the dealership Jorge is a very relaxed person and loves to sit back with some friends and chat about cars, sports, or just enjoy the company of those around him. When he needs a bit of extra excitement though Jorge loves to spend a day at the go-kart racing, and considers himself quite good at the sport. 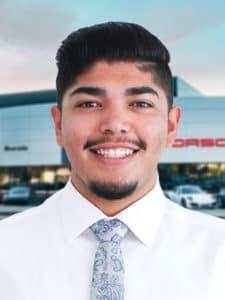 So if you are looking for a calm, collected, and well educated person to help you with your next Porsche, then look no further than Jorge Perez. 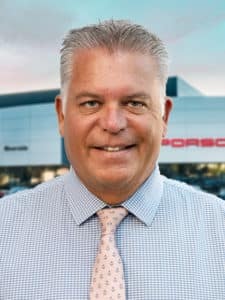 As a Porsche owner since 1976 Jonathan Bietz is a true Porsche enthusiast who in his lifetime has owned and restored over 22 Porsche vehicles, and has truly learned the brand in the process. 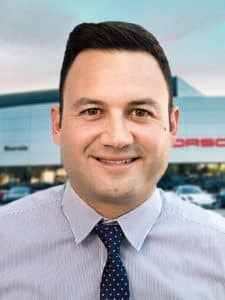 There are few in the Porsche sales world with the level of experience and knowledge of the Porsche brand when compared to Jonathan, and even fewer that meet his high levels of professionalism. Away from dealership Jonathan is a bit of an artist by trade, and is an award winning short documentary film write and photographer. He loves to take cruises down the highway on his motorcycle, and be a loving father to his 6 children he has raised over the years. He only moved to Southern California in 2015 for NorCal, but he has truly enjoyed the move and the area. 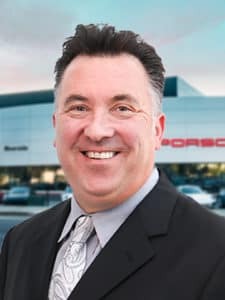 So if you are looking to work with one of the most experience and professional Porsche sales staff, then make sure to ask for Jonathan Beitz. 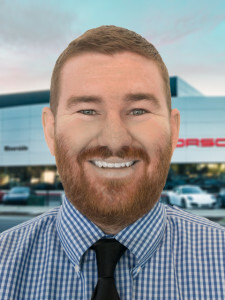 Sean Cooke is ready to make your Porsche experience a memorable one. When he’s not selling beautiful Porsche vehicles, Sean loves spending time with his family, going to the gym or attending a concerts. Sean is a true Porsche and racing enthusiast at heart and would choose the 911 Turbo S as his favorite model. 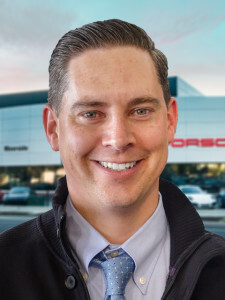 Sean is outgoing, kind-hearted, empathetic, and enthusiastic- especially when it comes to Porsche. So next time you are in the area, stop by and say hi to Sean. Born in Chicago, Tony moved out to California when he was only 10 years old and has never looked back since that day. Tony is a huge car enthusiast to say the least, and has owned almost 30 cars already in his lifetime. Tony’s favorite Porsche is the Cayman GTS, and hopes that maybe that will be the next car in his garage. 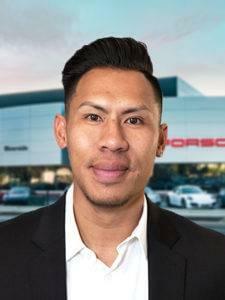 If you are looking for a true Porsche expert and dedicated sales person, look no further than Tony Nguyen. Adam Avalos is a great Finance Manager with a smile that is sure to brighten your day. Adam has been in the automotive industry most of his life, and is where he feels most at home. 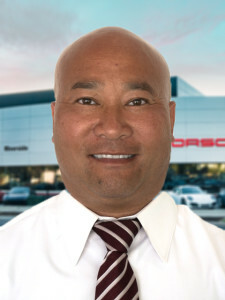 His amazing attitude and experience is sure to make you feel right at home, and help you into your next Porsche. We will be able to communicate with anyone promptly with these avenues. 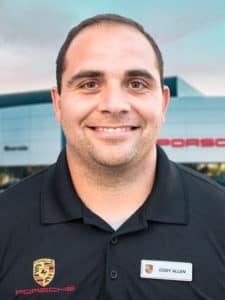 If you are looking for a true Porsche experience, then Jeremy is the man for you! Jeremy’s favorite Porsche is the 1987 RUF CTR Yellowbird and always has an eye on the newest Porsche 911 Turbo. 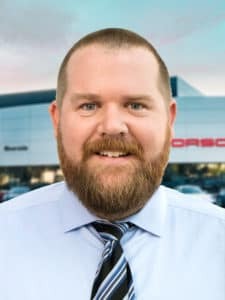 Jeremy has been in the automotive industry since 2006, and bring experience and confidence to your next Porsche experience at our dealership. Away from the dealership Jeremy is a loving husband to his wife, and one of the best fathers for his two amazing children. He loves to take the kids fishing on his bass boat, or a nice day at the track. If you are looking for a genuine person to take care of you, Jeremy is the man for you! Larry loves the car business and brings to the table 25+ years of European car service experience. He is a certified technician and has a love for racing and was involved with Sprint car racing, off road racing, drag racing and NASCAR. On the weekends Larry has a love for music and has a studio band that produces Adult Contemporary POP music under Lawrence Palmer. He loves spending time with his family and friends. He is also an avid golfer, loves boating, snow skiing, tropical Islands and weekend road trips. His favorite Porsche is the 911 S Cabriolet. To have your Porsche serviced by one the best in the industry, look not further than Larry. David has been a service advisor since 1999 and brings with him many years of experience. He is in love with the Porsche brand as the owners are so enthusiastic about their vehicles and care for them to best of their ability. David has been on a path to work in automotive service since he was a child when he would spend his days in his father’s independent shop. David grew up in L.A county but now considers the Inland Empire to be his home. When he is not providing the very best Porsche service, you can find David trying new foods or planning his next big trip. He has fallen in love with travel and see the world as him home. To find one of the friendliest Porsche Service Advisors on the planet, look no further than David Barron. Michael is a huge Porsche enthusiast and has been working directly with the brand for well over 20 years now. You can ask Michael almost anything about Porsche and he is sure to be able to have a great conversation about it. Michael is with out a single doubt one of the biggest Porsche fans we have yet to encounter. When Michael is not at the dealership he is a passionate family man who loves to be involved in the lives of his family. He coaches his daughter’s softball All Star team, and together they make quite the team! But sometimes even Michael has to take it easy and just relax with his family on a Sunday morning. So to work with a down to earth man who truly understand the Porsche brand, look no further than Michael Barcelona. Henry is a more than seasoned automotive expert and has been a huge asset to our organization since he has arrived. When Henry is not being all star for our Porsche customers, you can find him staying as active as possible to keep his health in high standings. To stay active Henry gets involved with crossfit and cycling whenever time allows. Family is also extremely important for him, and he loves to spend as much time as possible with his family and dogs. You can frequently spot them on the weekend enjoying the California weather together. So to have your Porsche serviced handled by the best in the business, look no further than Henry Quezada. Starting with the Walter’s Automotive group in 2012, Cody has been like family at the dealerships. Cody started his career with the Walter’s group as a car porter washing cars, and has rapidly climbed the ladder to his current position. Cody grew up loving cars, and is so happy to have the opportunity to work with the Porsche brand so closely on a daily basis. Cody hopes that he will one day have a Porsche Carerra GT sitting in his garage. Away from work Cody is a fun loving man, and always wants to spend as much time possible with his family. At home Cody has two loving boys and his wife that he loves to take out to the river, and help everyone put a smile on their face. Cody is also a huge fan of wrestling, and can’t wait to coach his boys in the sport once they get bigger. So next time you are in to service your Porsche and need a rental car, don’t hesitate to say hi to Cody. Mike is a true automotive enthusiast who has worked his way up to where he is today through dedication and hard work. Mike has been in the automotive industry for over 40 years and his expertise will serve you well if you need anything from our parts department. There is truly no one more qualified than Mike for his position. Away from work Mike is a loving father who loves to coach baseball for his youngest son, and take his family camping and fishing. If you ever need anything, Mike is here to help.